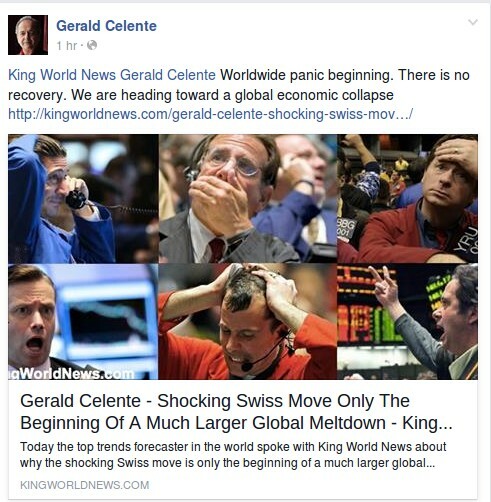 Gerald Celente: 'Worldwide Panic Beginning - There Is No Recovery"
The screenshot above from the Facebook page of Trends Forecaster Gerald Celente tells us what the mainstream media won't tell us, the looks on the faces of the business traders in the linked King World News story tells us the rest; the shocking move by the Swiss National Bank is only the BEGINNING of a much larger global meltdown; there is no recovery; we're heading towards a global economic collapse. 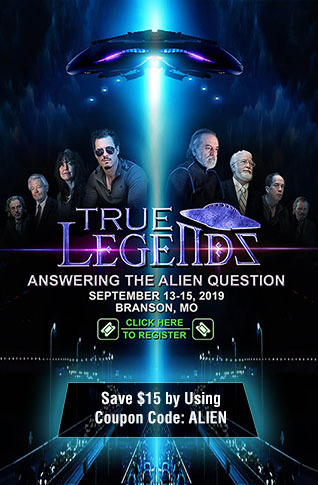 In the video below featuring Gerald Celente with Rick Wiles on TruNews, Celente gives us his full analysis for the year 2015 beginning at the 14 minute mark. Rick begins the program by warning that the wheels are beginning to come off the cart with the Swiss Bank decision, saying that traders were totally unprepared for what was coming: "Complete carnage" one trader said. Sharing that it's not every day that a country's central bank pulls the rug out from under so many feet, "clearly people are worried that there's something bigger afoot." Warning us that what we're watching now is only the beginning of the coming 'economic tsunami', we're also asked why the mainstream media is putting out stories about economic recovery while one of Bloomberg's lead stories is called "Mayhem Erupts On Trading Floors After Swiss Central Banks Remove Cap On Franc."